Like most tasks when building a boat, nothing is ever straight forward. My task last weekend and this weekend was to fit the chainplates, ready to be welded in place. 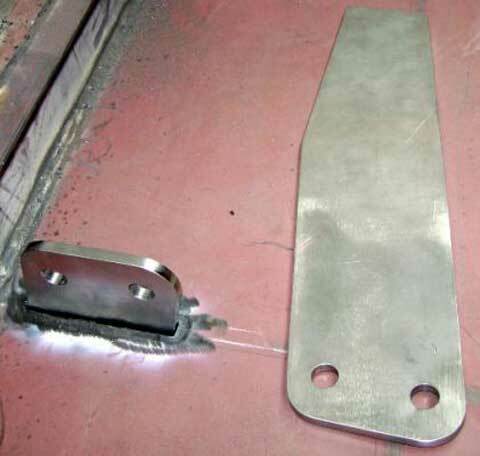 This generally involved working out exactly (+/- about 3mm) where the chainplate was to go; cutting a hole in the deck for the chainplate to fit into; and, then doing any necessary adjustments to the steel work below the deck to accomodate the chainplate. This picture shows the chainplate for the side stays (cap stay and intermediate stay). It shows the chainplate as it will look when fitted, with just the top above deck. 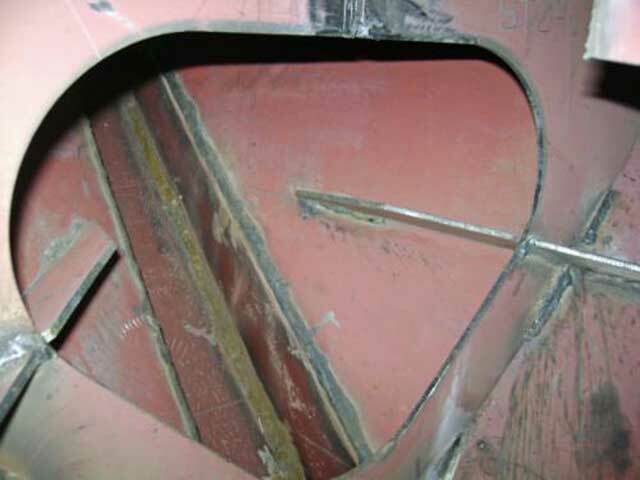 To the right-side of the picture is the unfitted chainplate (lying on the deck), so you can see just how much of it is below deck. It needs to be this size to handle the load placed on it by the mast and sails. Well, the problem came with the fitting of the chainplate for the inner forestay. It fits into the foredeck, immediately behind a frame. The picture here shows the frame, and part of the very small space in front of it. The opening through the frame is about 36cm towards the top. The chainplate will divide the opening down the middle, making the access even smaller. So, before the chainplate can be welded in place, this very small space needs to be cleaned and have its full set of paint applied. The next two photos show Sonja climbing into the chain locker, so she can paint forward of the offending frame. The second photo is an inside shot of Sonja with her head in the compartment trying to see where she has or hasn’t painted. Like I said at the start, most jobs when building a yacht cannot be completed from start to finish without some sort of detour.